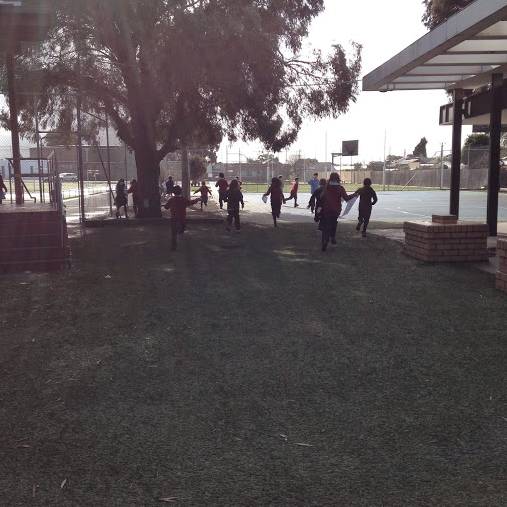 I played the Amazing Race with my students just the other day. It’s something I’ve been doing for a little while now. I didn’t realise how powerful it was until I had kids, who generally aren’t fond of Mathematics, absolutely loving it! It’s a great way to consolidate learning areas, or simply have fun. It also encourages team work amongst students and provides a platform for kids to teach each another. A great way to hook them in is by making a little movie trailor (iMovie is great for this) with photos of the kids, explaining they will be competing in a race. once children/teams are finished, they need to assemble at a meeting point. It’s a great way to identify misconceptions. I generally make the wrong answer a common misconception. If kids are answering questions wrong, it’ll give you an insight into their understandings. the winning team generally has some sort of prize. This also encourages team work. I’ve shared this with all levels in my school and it’s adaptable to all ages. With middle to senior levels, I provide them with a map of the school as well as their clues, and they’re required to find the co-ordinates of each destination. For junior levels this can be adapted. There’s also a Christmas version I like to use. Check it out! Teaching many types of math with an Amazing Race.